Previous studies indicated that urinary glucose (UG) had a limited efficacy in diabetes screening. This study was designed to have a re-evaluation of its efficacy, taking into consideration the collection method of urine and the measurement approach for UG among Chinese adults. This cross-sectional study enrolled a total of 7689 participants without known diabetes, who were fasted and asked to empty bladders before a 75 g glucose loading. Urine was collected 2 h post glucose loading, and UG was measured using quantitative and qualitative approaches. The efficacy of UG in detecting diabetes was assessed by the receiver operating characteristic (ROC) curve. The area under the ROC curve was 0.89 for quantitative UG and 0.87 for qualitative UG. Quantitative UG was positively correlated with fasting plasma glucose (FPG) and 2 h plasma glucose (2 h PG) (r = 0.55 and 0.56, respectively, both P < 0.001). 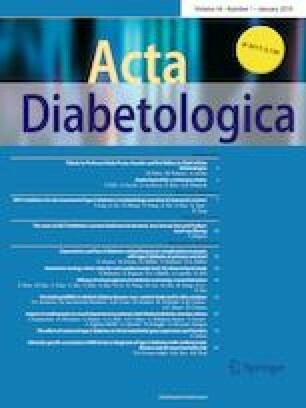 Quantitative UG displayed a sensitivity of 82.9% and a specificity of 84.7% in detecting diabetes at the corresponding optimal cutoff of 130 mg. Qualitative UG exhibited a sensitivity of 80.2% and a specificity of 85.6% at the optimal cutoff of glycosuria + 1. In addition, the sensitivity of both quantitative and qualitative UG was significantly higher than that of HbA1c (≥ 6.5%) (P < 0.001) and had a comparable sensitivity to 2 h PG (≥ 11.1 mmol/L) (P = 0.493). UG, either quantitatively or qualitatively measured at 2 h post glucose loading, was effective in diabetes screening. This indicates that UG is a feasible approach for diabetes screening. Juan Chen, Haijian Guo, Xiaoning Li and Zilin Sun contributed equally to this work. We owe our sincere thanks to the local research teams and colleagues for assistance in participant recruitment. We are grateful to many residents of Jiangsu Province who participated in this study. We thank all the staff who were involved in this study for their important contributions. This work was supported by a grant from the National Key R&D Program of China (2016YFC1305700), the National Key Scientific Instrument and Equipment Development Project of China (No. 51627808) and the Key Program for Clinical Medicine and Science and Technology, Jiangsu Province, China (BL2014079). All procedures performed in studies involving human participants were in accordance with the ethical standards of Jiangsu Provincial Center for Disease Control and Prevention and Zhongda Hospital, Southeast University and with the 1964 Helsinki Declaration and its later amendments. Data are available from the corresponding author for researchers who meet the criteria for access to confidential data. Please contact Zilin Sun (email: sunzilin1963@126.com).